Epic and intimate, hilarious and poignant - the story of two North London families - one headed by Archie, the other by Archie's best friend, a Muslim Bengali named Samad Iqbal. Early in the morning, late in the century, Cricklewood Broadway. At 06.27 hours on 1 January 1975, Alfred Archibald Jones was dressed in corduroy and sat in a fume-filled Cavalier Musketeer Estate face down on the steering wheel, hoping the judgement would not be too heavy upon him. He lay forward in a prostrate cross, jaw slack, arms splayed either side like some fallen angel; scrunched up in each fist he held his army service medals (left) and his marriage license (right), for he had decided to take his mistakes with him. A little green light flashed in his eye, signaling a right turn he had resolved never to make. He was resigned to it. He was prepared for it. He had flipped a coin and stood staunchly by its conclusions. This was a decided-upon suicide. In fact it was a New Year's resolution. White Teeth has generated enormous interest within the publishing world, in part because it is an unusually assured first novel, produced by a writer who is still very young. What aspects of White Teeth--in terms of either style or content--strike you as most unusual in a debut novel? How is White Teeth different from other first novels you have read? A writer of mighty potential. 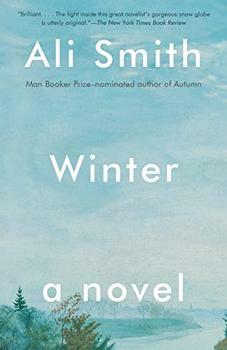 This is a strikingly clever and funny book with a passion for ideas, for language, and for the rich tragicomedy of life. . . . [Smith's] characters always ring true; it is her ebullient, simple prose and her generous understanding of human nature that make Zadie Smith's novel outstanding. It is not only great fun to read, but full of hope. Darting between decades, cultures and generations, this chronicle of immigrant London fizzes with life. Like all the best comic writers, Smith is dead serious. She's got things to say about some big questions, and not just the politically trendy ones that the multicultural nature of her cast of characters might suggest..... White Teeth is life-affirming in a thoroughly unsentimental way. A rich, ambitious, and often hilarious delight. Bounding, vibrant, richly imagined and thoroughly engaging. The first publishing sensation of the millennium. Poised and relentlessly funny. . . . A major new talent. Outstanding... refreshingly upbeat and deserving of all the attention it is getting. The biggest literary talent for 2000... One of the most impressive first novels of recent years. Zadie Smith's fizzing first novel is about how we all got here--from the Caribbean, from the Indian subcontinent, from thirteenth place in a long-ago Olympic bicycle race--and about what here turned out to be. 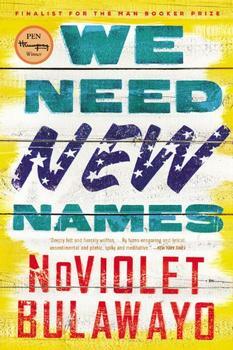 It's an astonishingly assured debut, funny and serious, and the voice has real writerly idiosyncrasy. I was delighted by White Teeth and often impressed. It has . . . bite. I am only part way through the book but feel that I can offer a valuable review. It is a great read. It is not about one particualr subject rather it deals with a lot of stories that inter-twine.